Stephan Klaschka is an awarded digital healthcare executive, senior consultant and serial entrepreneur with over 25 years of international work and managerial experience in the healthcare, pharmaceuticals and other industries across Europe, the Americas, and Asia-Pacific from FORTUNE Global 20 to startup companies. In addition to founding his own businesses, he has worked as a consultant to academia, governments, corporations, and startups internationally. Stephan is an associative thinker and creative catalyst with strong business acumen and hands-on startup experience. Klaschka & Co transforms companies to scale up! Melanie Klaschka (Executive Consultant) and Stephan Klaschka (President) turn-around and prepare your company to meet business growth targets and to seize new business opportunities. We ready your sales team to win the big contracts and your operations to deliver on your promise. Stephan also has a focus on digital healthcare innovation to which he brings his vast background in healthcare innovation “beyond the pill,” regulatory compliance (CSV, GCP, 21 CFR, Part 11), new business model development, alliance management, and emerging technologies. We are a creative catalyst to develop new revenue models and to integrate converging industries for new products, services, and exponential returns. Stephan is a renowned expert, PMP-certified consultant, and public speaker on ‘Innovation in Large Organizations’ with topics and seminars ranging from strategic and open innovation, intrapreneuring (see also the OrgChanger.com blog), leveraging diversity, corporate entrepreneurship, lean startup, social entrepreneurship, and business model development to bridging generational differences and managing a high-performing virtual workforce. Stephan served as startup Chief Operating Officer (COO) at Virtual Distance International (VDI), the global leader in predictive workplace analytics (pWPA) transforming organizations to manage the remote workforce with scientifically validated business impact metrics. Stephan currently advises Strandsmart Inc., a Silicon Valley super-stealth startup, on matters of strategy, funding, and industry relations, and as a member of the Advisory Board in funding, development, and strategy of innovative devices for highly disruptive oncology diagnosis and smart-devices that will revolutionize healthcare. – Sorry, too secret to share more details. As Program Director and Mentor, Stephan has helped the Academy for Corporate Entrepreneurship (AfCE) bringing the Founder Institute‘s World’s Premier Idea-Stage Accelerator and Startup Launch Program to life in FORTUNE Global 500 organizations in the EU, UK, and the USA. Stephan joined CE Convergence Engineers as a Senior Healthcare Advisor to innovate across industries. CE helps its clients to innovate across industries by consolidating know-how in shaping new markets and by providing the operational platform and focus for purposefully engineering convergence between different industries. As a scientific advisor, Stephan supports Nexi, Inc.‘s customer discovery journey. Nexi connects organizations to transform clinical data into research assets using a secure, HIPAA compliant platform for processing, organizing and sharing unstructured and structured data. 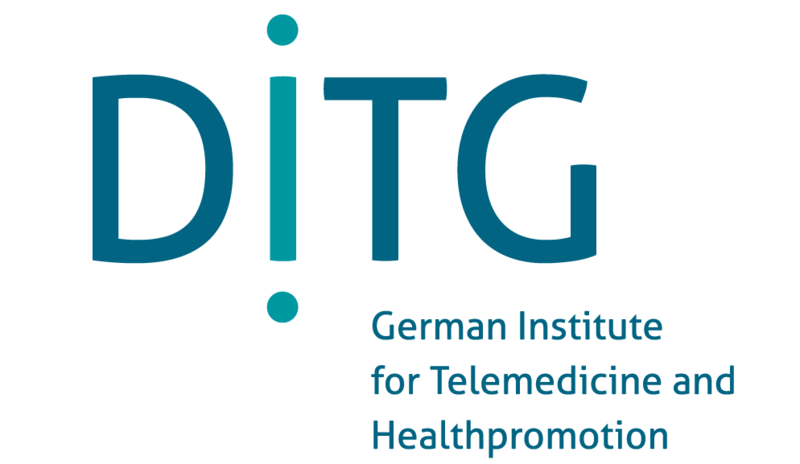 In a recent senior business operations role, Stephan served as startup CEO (“Geschäftsführer”) interim at the German Institute for Telemedicine and Health Promotion (DITG GmbH) (“Deutsches Institut für Telemedizin und Gesundheitsförderung”). He was hired by shareholders to stabilize the organization, ready it for rapid growth (scale-up) and prepare for an exit to Venture Capital. DITG specialized in telemedical care provision for chronic diseases in prevention. It develops and operates evidence-based health programs for health insurance companies, pharmaceutical companies and other players in corporate health management by efficiently aggregating telemedical services with the objective to sustainably help people suffering from chronic diseases to preserve and improve their health, while simultaneously lowering the cost to the healthcare system. DITG won the 2016 Health Media Award and the 2015 Senetics Innovation Award in the “Most Innovative Idea in the Healthcare Sector” category. Its “initiative.diabetes” program made the shortlist for the 2016 “Preis für Gesundheitsnetzewerker” award. This short video (in German, <2 min.) gives a general idea of the DITG business and success in treating Diabetes Mellitus Type 2 using the "TeLiPro" approach as featured in the MSD Gesundheitspreis award nominations 2014 and 2015. In his previous corporate position as Director, Global Innovation Management and Strategy, with Boehringer Ingelheim, a privately held biopharmaceutical and FORTUNE Global 500 company, Stephan focused on integrating disruptive innovation to create and seize exponential business growth opportunities in the transforming ‘Pharma 3.0’ landscape across all businesses of Boehringer Ingelheim worldwide. This included intrapreneuring, building incubator/accelerator programs, seed-funding ‘intraprises’, gamification, open innovation, creating cross-disciplinary networks, alliances and partnerships, scouting emerging technologies as well as developing new business models ‘beyond the pill’ and next practices for accelerated innovations. Read the Ivey Business School‘s insightful Teaching Case Study on Intrapreneuring titled “Boehringer Ingelheim: Leading Innovation” in which the case writers Professor J. Robert Mitchell, Ph.D., and Ramasastry Chandrasekhar follow the footsteps of Stephan’s approach to innovating from within. Stephan was partner and co-founder of iQuit! Productions, an independent film production and financing company creating film and television projects that cross-cultural and race boundaries bringing our world closer together through the moving picture. Stephan holds Masters Degrees in Computer Science and in Management, an Executive MBA as well as advanced degrees in strategy, innovation, and leadership from renowned schools in Europe and the United States. He is a certified Project Management Professional (PMP), a blogger on OrgChanger.com and CURE, a fundraiser for humanitarian causes and an active advisor, and a mentor to various startups, industry, and not-for-profit institutions.